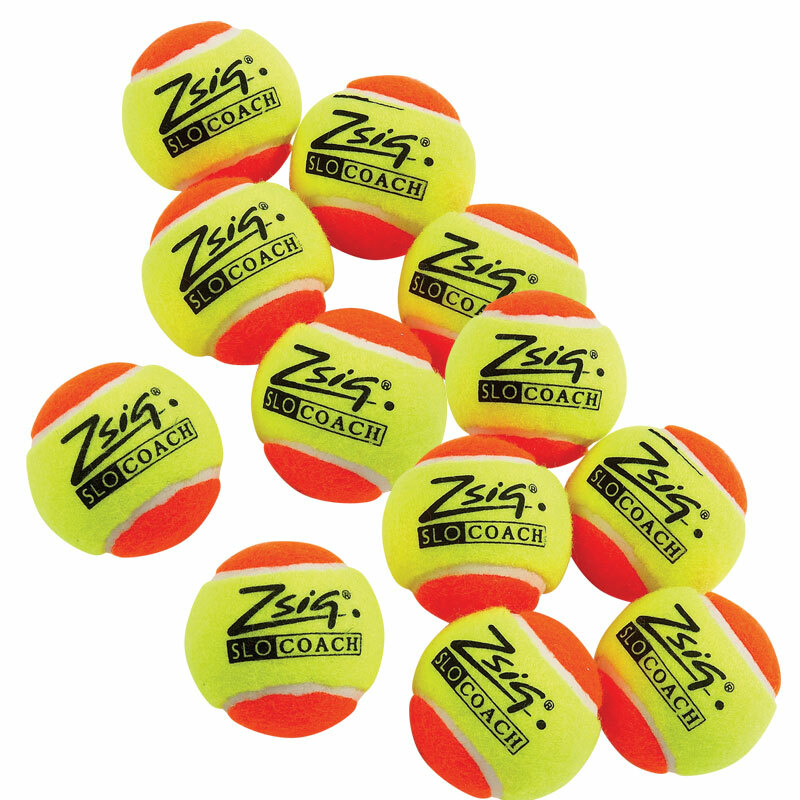 The Zsig ® SLOcoach Mini Tennis Ball is 50% slower than a tennis ball and ideal for starter players of all ages. SLOcoach Orange is a hard-wearing low energy (controlled pace) Mini Tennis ball designed for the Orange stage of the LTA's coaching scheme, and for the ITF's Play and Stay Stage Two. Which means it plays over three-quarters of a standard tennis court at a pace which allows learners of all ages to experience successful rallies - and the opportunity to develop sound technique before moving on to the full-size court. Excellent quality ball: good regular bounce and in hard-wearing Melton felt. Designed for LTA Mini Tennis Orange (ITF Stage 2). Players aged 8 and 9 (and starter players of all ages). Recommended racket size: 23 inch (58cm).